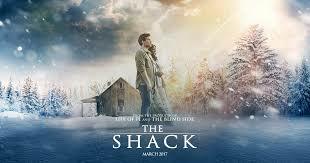 Not long from now William Paul Young’s novel The Shack will be hitting the big screen. And in preparation for the inevitable wave of warnings about watching something that will no doubt plunge one into the depths of the eternal abyss; I have decided to post some thoughts of my own on the Shack. The reason that I am doing this is because when the book was initially released I was among those who were forwarding posts and telling others why they should not read it. The catch though was that like many of those who were writing about it or condemning it from their pulpits I too had not read the book for myself. Yet after hearing the author respond to some of the criticism in his own words and eventually reading the book for myself, I found myself having to repent for the irresponsible manner in which I had conducted myself and for my contribution to the false accusations that were being flung around regarding the book. I think that it is safe to assume that we can expect a similar uproar surrounding the movie from those whose arguments will be based purely on hearsay. In fact they have already started popping up in my Facebook stream. Now we do not know for sure how true to the book the movie adaption will be, but let me help people out a bit by sharing which accusations laid against the book I found to have substance and which were blatantly unfounded. Starting with the charges that I believe had truth to them; people were highly upset by the idea presented in the book that God suffered along with Christ during His Sons crucifixion. This idea is in direct conflict with the theory of penal substitution which says that God was the one pouring out His wrath on His Son during the events that lead to His death. So if you are looking for the God of penal substitutionary theory in The Shack, not only will you not find it, but you will discover the exact opposite portrayal of a God who had not forsaken His Son but was in Christ reconciling the world to Himself. Secondly, others have said that the book claims that through Christ God has forgiven all of humanity, no longer counting their trespasses against them. I did indeed find this to be taught in The Shack. It seems to draw from the same verse (2 Corinthians 5:19) in the authors thinking as the first accusation did. On a personal note, the problem which I see here is that people seem to be confusing forgiveness with salvation. As if being forgiven automatically makes one ‘saved’. I find this to be problematic when we look not only at verses like the one already mentioned above in Corinthians but also in others as well. For instance, consider when Jesus was hanging on the cross and forgave those who crucified Him. I did not assume that to mean that all who were present at the execution in Calvary would one day be joining Him in eternity. Forgiveness is related to salvation for sure but I would not go so far as to say that they are one and the same thing. Another charge laid against The Shack is that it promotes the idea that there exists no hierarchical structure within the Trinity. I observed this as well; Young seems to believe and teach that Father, Son and Spirit are fully equal and that submission and obedience are not necessarily signs of rank within the godhead but can also emanate from other sources such as love, trust and unison. Lastly, you will not find the concept of eternal conscious torment in hell in The Shack. I speak under correction here because I read the book many years ago and have only glanced over it briefly again for this blog. But I don’t actually recall any particular view of hell, be it eternal conscious torment, universalism or annihilation being championed in the book. Rather, I found the emphasis to be on God’s heart to save those who are damaged, broken and lost. As to how each individual’s story will end, the book never really gave us anything solid with which to form an opinion on, the author seemed more concerned with bringing across the idea that God is in the business of seeking, saving, restoring and healing those whom sin has entangled. So if you are part of the reformed tradition within the church chances are that some, if not all four, of the above things might sound like downright heresy to you. Personally I try to read and listen to viewpoints that are different than my own from time to time because our primary objective, especially when it comes to theology, should be about discovering truth rather than about trying to defend the beliefs that we are already comfortable in. If what we know is true, then we have nothing to fear as it will stand strong when it is tested. But if we choose rather to live in a box, well, perhaps you may never be deceived into new falsehoods but you will most likely never grow out of any current flawed ideas you may have either. Moving on then, there are a lot of charges that are laid against The Shack that range from perplexing to simply ridiculous and I will mention some of the main ones here. I find this to be rather disturbing because many of the claims that don’t hold up under the light lead me to believe that those making them were at best uninformed or at worst deliberately malicious and deceptive. Consider Mark Driscoll’s 8 minute Youtube video given in 2008 before his old church which accused Paul Young of promoting Modalism and goddess worship. The video (which has since being removed) had hundreds of thousands of views but here is the thing, the book does not promote either of those things and it has been reported that Driscoll later admitted that he had not actually read the book when he made his comments public. Now Jesus Himself warned us not to accuse anyone falsely so if we are going to say something publically, it is good practice to go to the source rather than blurt out accusations based on hearsay. To quote from the book, on page 103 it says, “We are not three gods, and we are not talking about one god with three attitudes, like a man who is a husband, father and worker. I am one God and I am three persons, and each of the three is fully and entirely the one.” This is not Modalism nor is it Tritheism, this is orthodox by any of the major Christian creeds. Similarly, the charge of goddess worship does not hold up. Many people were offended by the presentation of God as a black woman. Let’s be clear, the book does not teach that God is a black woman and it goes through great lengths to explain this. Mack (the main character) had a stereotypical religious image of God in his head of a Gandalf-like character which is the reason given as to why Pappa (the Father in The Shack) appears to Him as a black female. The book is trying to smash our religious perceptions by turning them on their head; it’s not trying to build new ones. On page 95 we read the following, “I am neither male nor female, even though both genders are derived from my nature.” Now we know that God is Spirit, yet scripture always refers to Him in the masculine. So even though I appreciate what Paul has done here I have to admit that a lot of people these days speak of God using words like ‘She’ and ‘Her’ and I wonder if the popularity of The Shack may have contributed in some way to people speaking in this manner. While God is indeed Spirit and even though both genders are derived from His nature; I believe it is wise to stick with the masculine pronouns which Jesus, the Bible and the church have always used. It is interesting to note here though that the word for the Spirit (ruach) is feminine in Hebrew and gender neutral in Greek. This is probably why Young went with a female character named Sarayu for the Spirit. This brings me to another accusation that has been made which is that The Shack contains New Age teachings in it. People have based that conclusion largely on the name and ethnicity chosen for Sarayu. But the name simply means ‘wind’ and is a clear reference to John 3:8. ‘Wind’ and ‘spirit’ are actually one and the same word in the original biblical languages so the name is actually quite clever (IMO). Let me end off with a few closing comments and this applies to other books as well. There are things in The Shack that will rock the boat with many religious groups, much of that rocking was and is probably a good thing though. As to how much of what was put forward in the book will make it into the movie adaption remains to be seeing but as ambassadors of Christ let us play fairly in the following ways. - If you have read the Shack or do go out and watch the movie and end up disagreeing with something in it then by all means, voice your concerns but do so in a spirit of love, gentleness and humility. People are more likely to hear you when you reason with them rather than when you are arguing with them. For some good insights into what is ‘behind’ The Shack, check out the links below.